Wazoo. 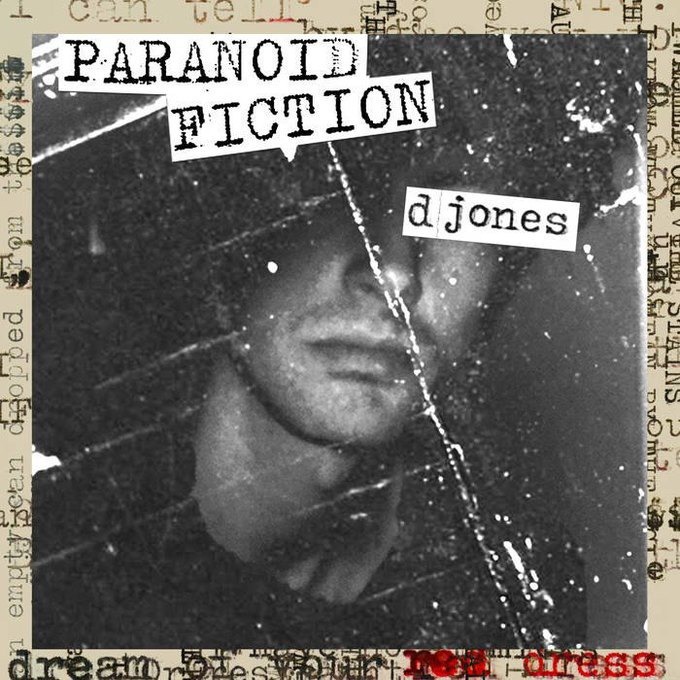 Jones’ latest full length as Lost Boy ?, Paranoid Fiction, continues in this vein, as he delivers a loud, fast, toe-tapping record that you’ll want to listen to again and again. Paranoid Fiction is a great hybrid of sorts, as it captures the rugged, proto-punk of Max’s Kansas City-era acts like The New York Dolls and The Heartbreakers with the narrative stylings of Springsteen and Petty. 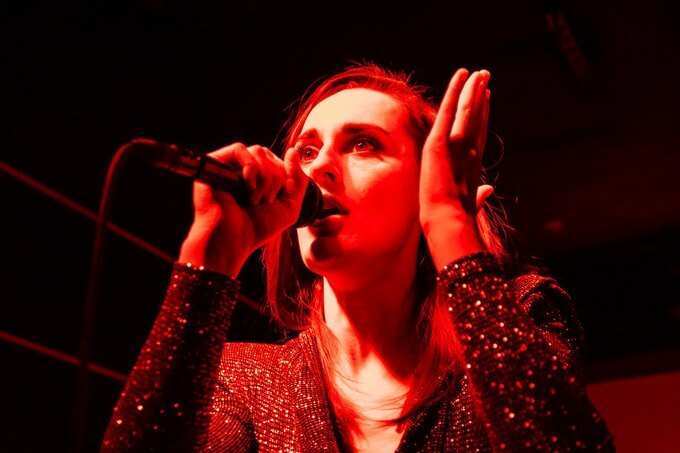 Lyrically, the record has the feel of a concept album, as Jones tends to channel the experiences of various characters. He’s a cathartic, punk rock raconteur telling tales of West Coast city living, most likely during the 1980s, on the songs “Hollywood Square” and “Cocaine L.A.,” which both boast some trashy glam rock licks. 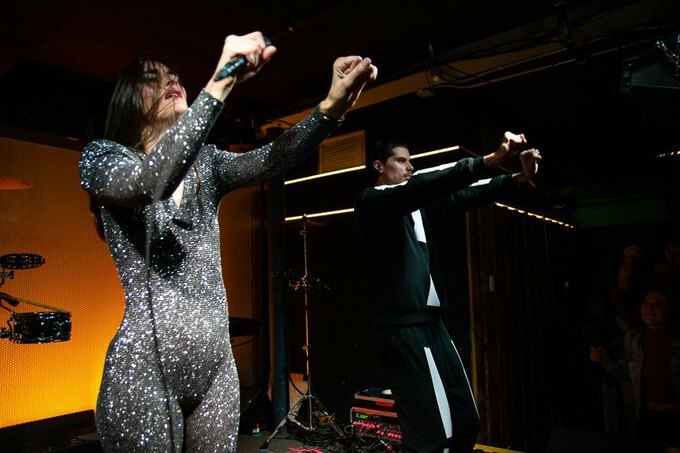 Tracks like “No One’s World” and “Birthday Suit” are packed with power-pop hooks, and although they’re the two briefest songs on the record, each pack an infectious rhythm that’s chock full of energy. Throughout Paranoid Friction, Lost Boy ? 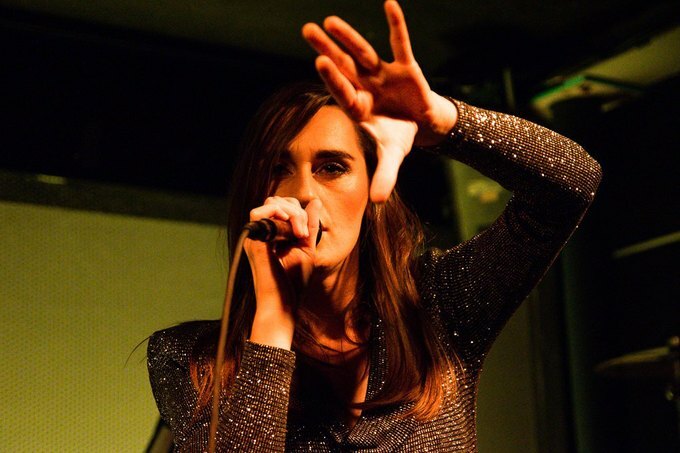 manages to craft lean and mean arrangements that are gritty and weathered, yet incredibly inviting in their ability to tell a wide array of stories through a garage rock prism, complete with dynamic melodies and fierce guitar work. You can purchase Paranoid Fiction via Bandcamp. The album is also available on limited edition cassette via Rich Moms & Vicious Son and vinyl via Little Dickman Records. You can see Lost Boy ? 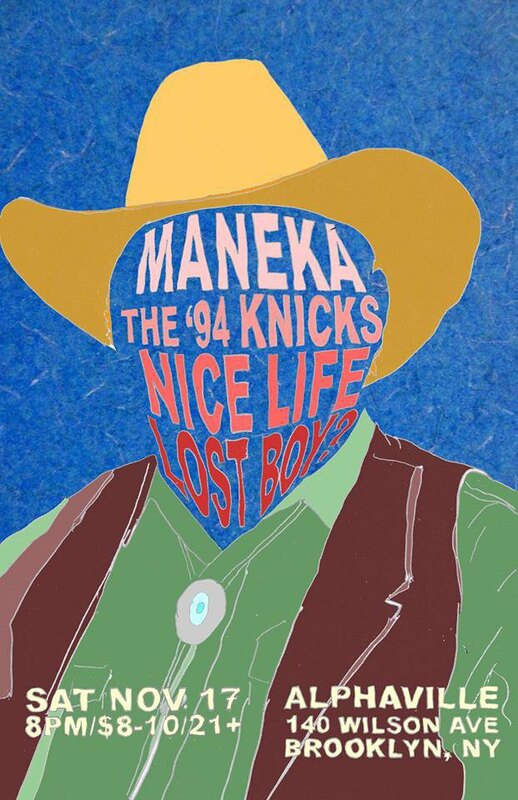 live this Saturday, November 17th at Alphaville with Maneka, The '94 Knicks, and Nice Life. 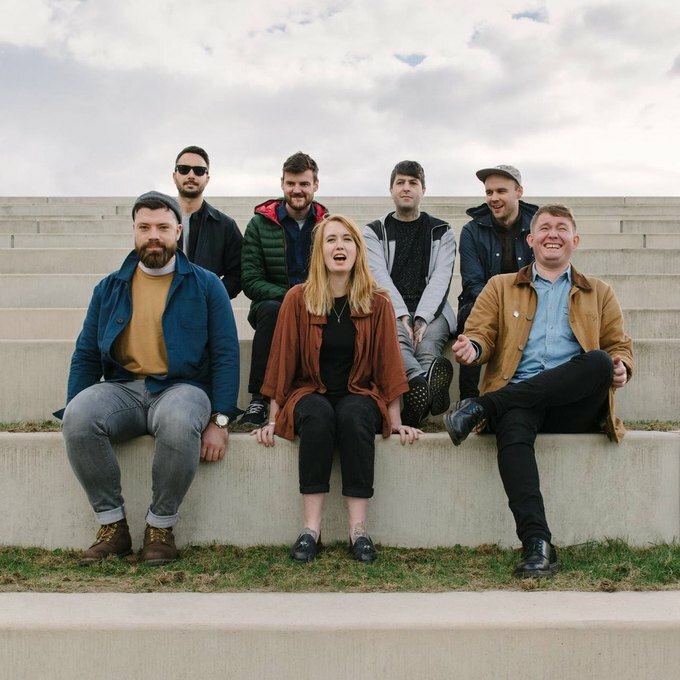 Wednesday, November 14th at 8 p.m.
Welsh seven-piece Los Campesinos! released their sixth album, Sick Scenes, almost two years ago. 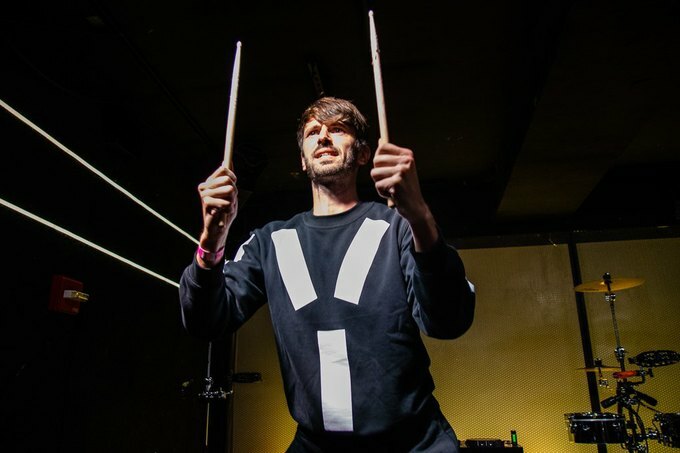 Now, they’re back on the road in the states to commemorate the ten year anniversary of their debut album, Hold on Now, Youngster. 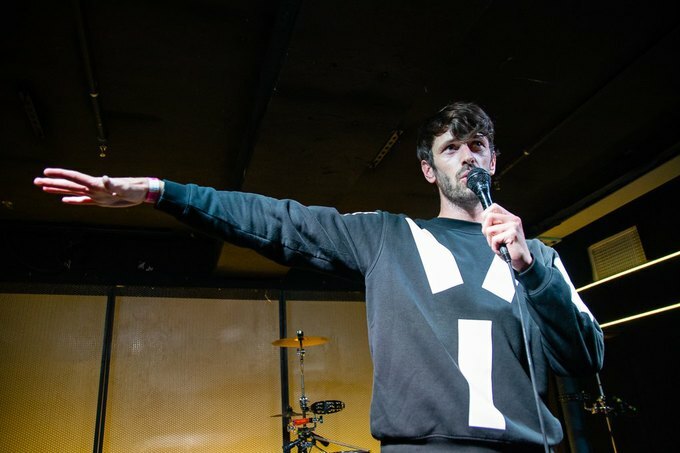 Fans of the band’s full catalog are in for a treat, as their setlists on this leg of their tour include classic Los Campesinos! 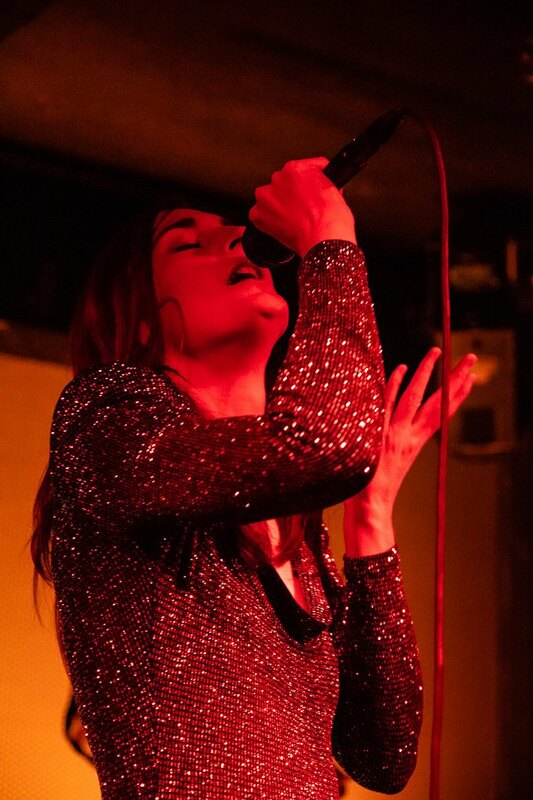 songs including “Death to Los Campesinos!,” “Romance Is Boring,” and “Ways To Make It Through The Wall.” Joining LC! 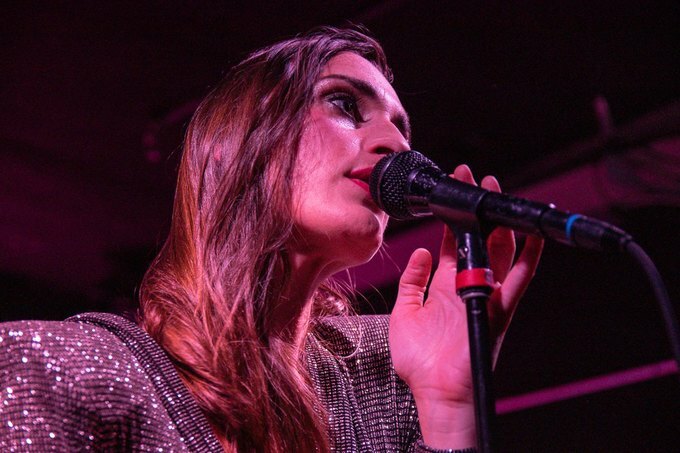 is local act Adult Mom, who just released a collection of demos from their second album Soft Spots back in May. 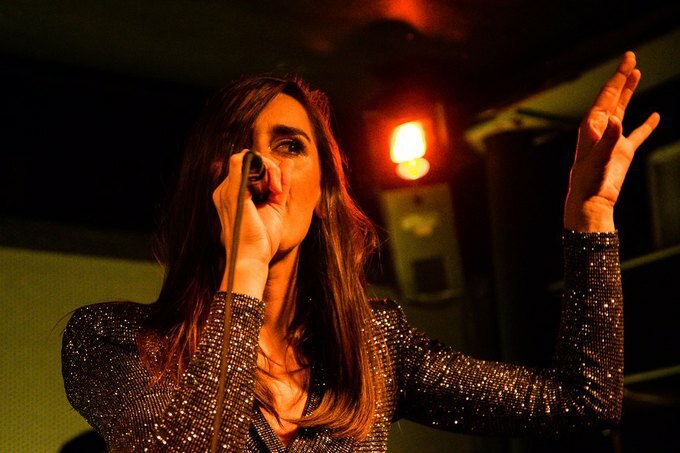 Thursday, November 15th at 8 p.m.
Fern Mayo kicks off a quick weekend tour of the Northeast with Noods and Clara Joy on Thursday night at El Cortez. 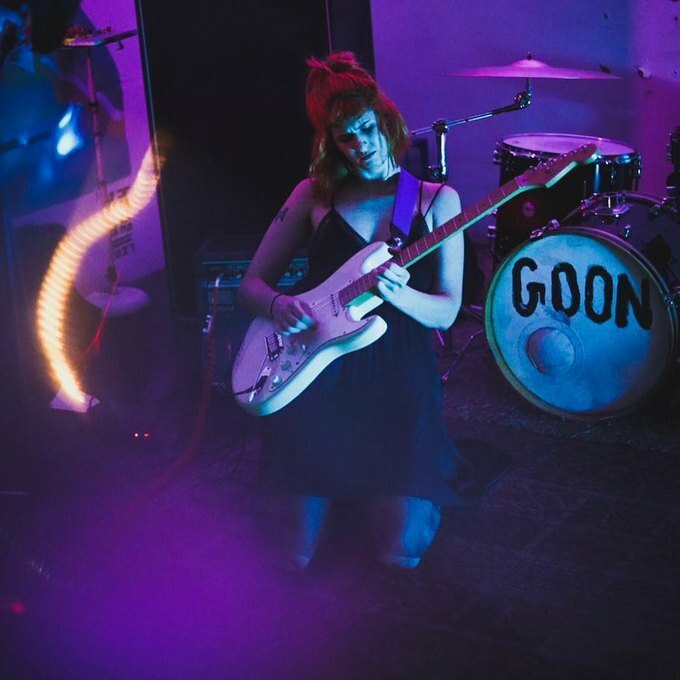 Noods, who play an upbeat brand of indie pop, released their second EP, Comfort Food, back in March, while Clara Joy shared Do You Remember Me?, a five-song collection of intimate bedroom pop, this past August. Philadelphia’s Dave Shephard, a self-described “traveling warlock with a mysterious past” will handle opening duties. 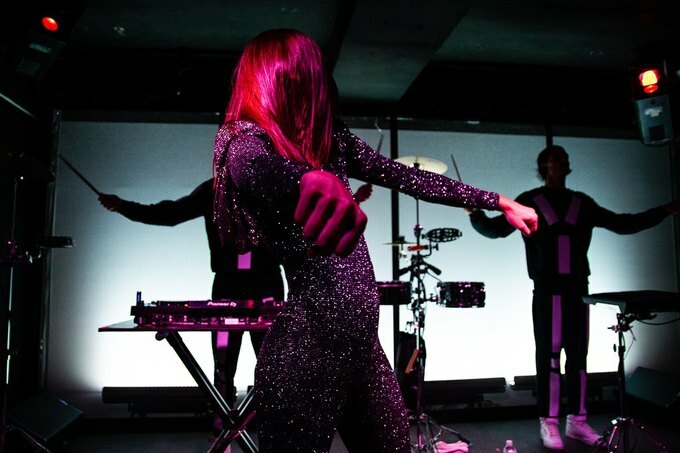 Friday, November 16th at 8 p.m.
Pickthorn Studios, a pillar of the Bushwick community that primarily operates as a salon, but also hosts the hugely popular Color Me Bushwick Festival, suffered significant, irreparable damage to their building during a recent fire. 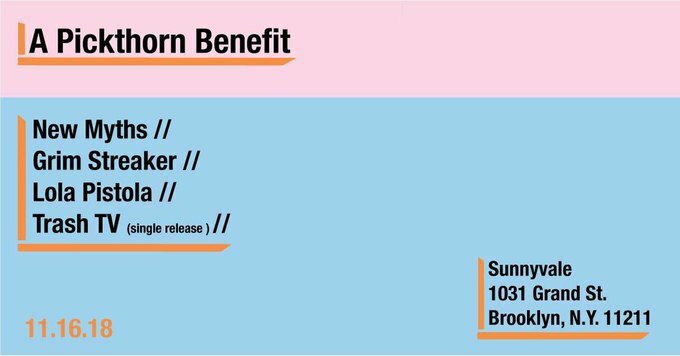 In order to assist with the expenses of recovery, four of Brooklyn's finest acts, New Myths, Grim Streaker, Lola Pistola, and TV Trash have teamed up to organize a benefit show on Friday night at Sunnyvale. All proceeds will directly benefit Pickthorn, so come on out and enjoy an absolutely killer lineup for a cause that's near and dear to the heart of Bushwick! 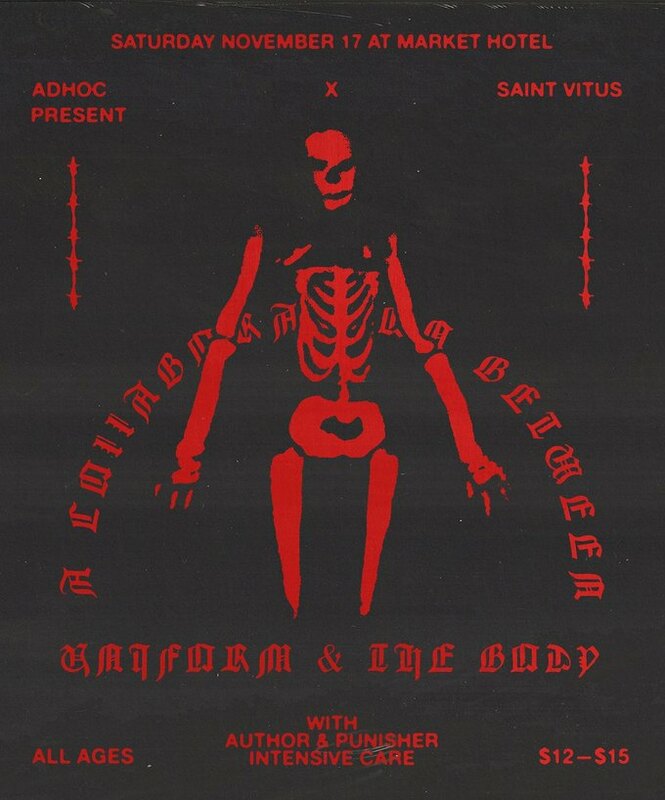 Saturday, November 17th at 8 p.m.
Industrial noise rock band Uniform are collaborating with The Body for a performance on Saturday night at Market Hotel. 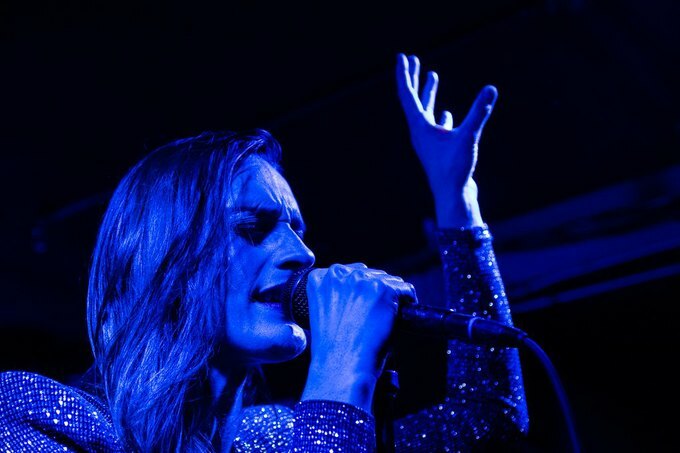 After touring together in 2017, the two bands released a collaborative album in June entitled Mental Wounds Not Healing. In addition, Uniform just released their third full length, The Long Walk, on Sacred Bones. Also performing are Author & Punisher, and Intensive Care.